Engwithan Digsite Map of location in Port Maje Region in Pillars of Eternity II: Deadfire Video Game. 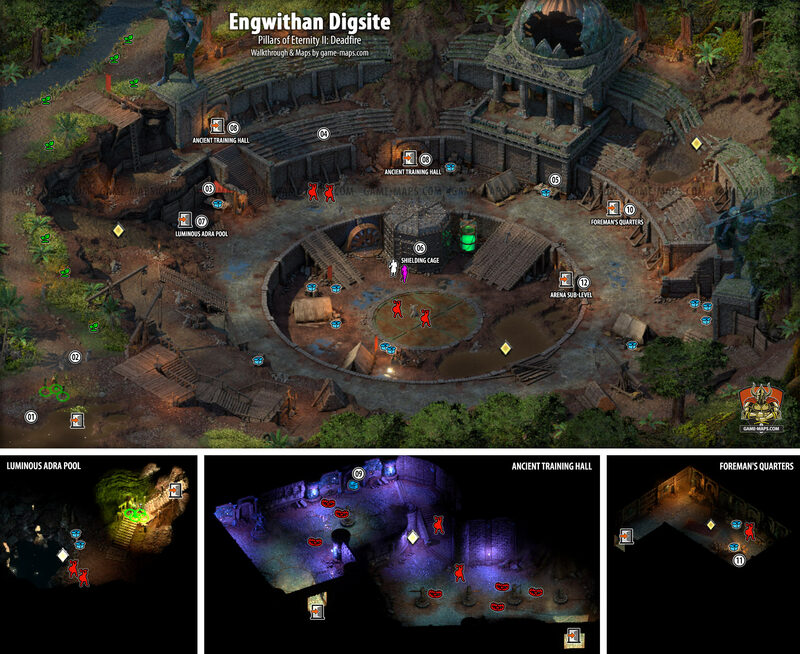 Engwithan Digsite Map for Pillars of Eternity II: Deadfire. Several men and women appear to be locked inside a cage of some kind. They're little more than silhouettes behind the glass, pointing and gesturing excitedly. Island's lost souls are heading to the adra pillar. Now you can pick items from ashen bodies around.